​Just when you think you've seen it all in the NBA, something even more insane occurs on your TV screen. The ​Golden State Warriors were given a gift on Thursday night against the ​Orlando Magic. During the fourth quarter, guard Isaiah Briscoe intended a cross-court pass to forward Wes Iwundu. Instead, the ball careened toward an official and deflected off of him. As a result, the Warriors gained possession, worked their way down court, and was capped off with a layup from guard Quinn Cook. ​​So, does the ref get the assist on the game's official stat sheet? 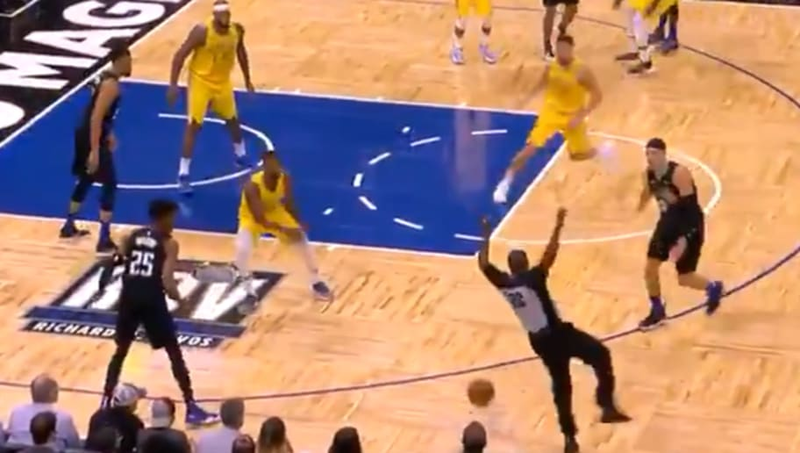 The play continued because the ref is considered part of the court, but we can't help but think that's a nonsensical technicality just to benefit the Warriors, who are impervious to things going wrong.